Why support the IAPB Italy with a bank transfer? With a small monthly or annual contribution, you can help us support our mission! 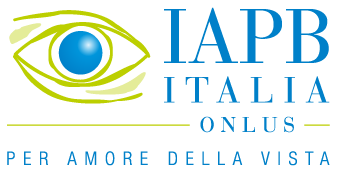 At the International Agency for the Prevention of Blindness-IAPB Italy, we want to keep the preservation of visual health constantly present in the national and international programs of public health. We invest in research and technological innovation, we disseminate the culture of prevention and invest in vision rehabilitation. We are aware of the importance of sight and we want to protect it with your support. If you choose a regular donation, you will allow us to plan our activities as best as we can, conduct more campaigns and carry out more long term projects. Choosing to support a social cause, allows you to take advantage of fiscal benefits. Donations in money and in kind can be deducted according to the Italian legislation in force. We are at your disposal for any further clarification. In order to receive a receipt of your donation, please add the following details in the reason for payment field: name, surname, address, postal code, city and e-mail address. Your data will be processed in full compliance with privacy legislation, pursuant to EU Regulation 2016/679 and Italian Legislative Decree of 30th June 2003, no. 196 and subsequent modifications - Consolidated Text on Privacy.